Christian is the respected curator of a contemporary art museum, a divorced but devoted father of two who drives an electric car and supports good causes. His next show is The Square, an installation which invites passersby to altruism, reminding them of their role as responsible fellow human beings. But sometimes, it is difficult to live up to your own ideals: Christian’s foolish response to the theft of his phone drags him into shameful situations. Meanwhile, the museum’s PR agency has created an unexpected campaign for The Square. The response is overblown and sends Christian, as well as the museum, into an existential crisis. As an avid skier, Ruben Östlund directed ski films for five years, until his mid 20’s, testifying his taste for long sequence shots. He went on to study film at the University of Gothenburg where he developed his knowledge of constructed and well thought out sequence shots which has continued to evolve through all his films. His work is best described as humorous and accurate observations of human social behaviour, film blended with sociology. His last four feature films have premiered in Cannes and his penultimate film Turist won the Un Certain Regard Jury Prize in 2014. It was distributed in over 75 territories and became a theatrical box-office success. The Square, his fifth feature film, won Palme d’Or last year in Cannes. 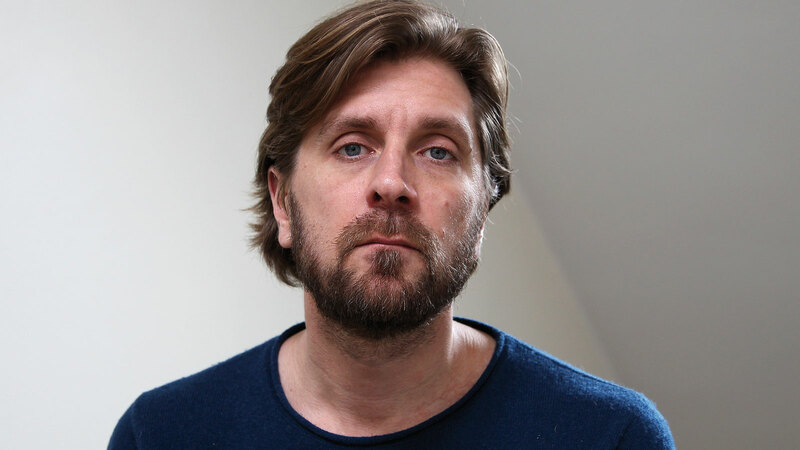 Ruben Östlund is a professor of film at the Academy of Fine Arts Gothenburg.